Views, views, views! 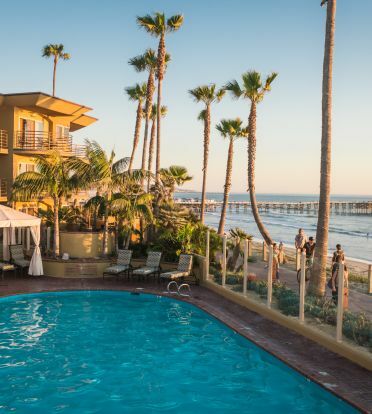 This hotel suite is perfect for a romantic getaway or family retreat but can easily double as a hospitality suite for a small business meeting or family reunion. 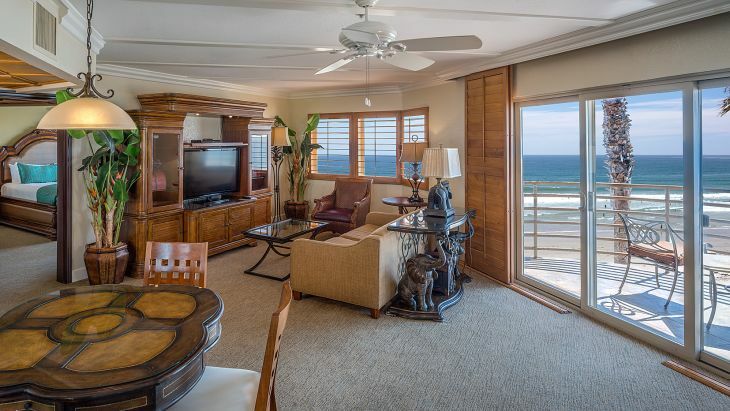 The 850 square foot Master Suites are located on the 3rd floor of the hotel, with two oversize balconies with breathtaking full ocean views. 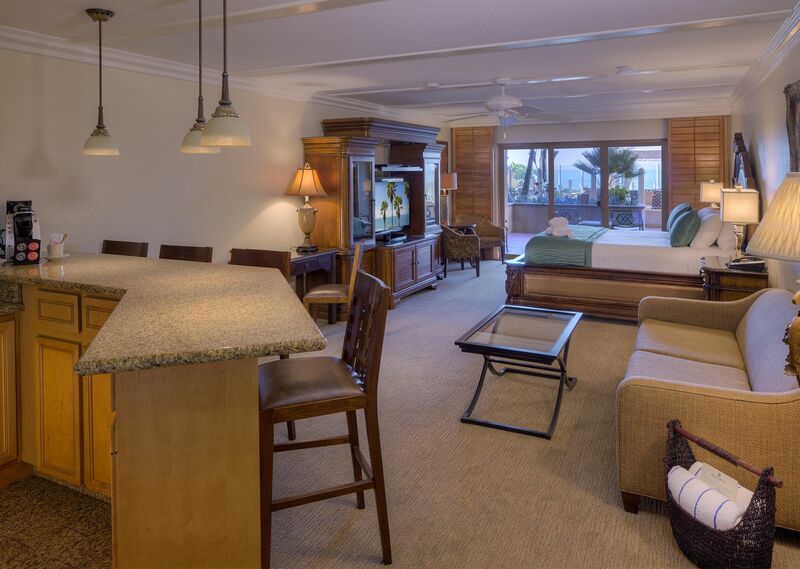 This two room suite features a living room and dining area with flat screen TV. 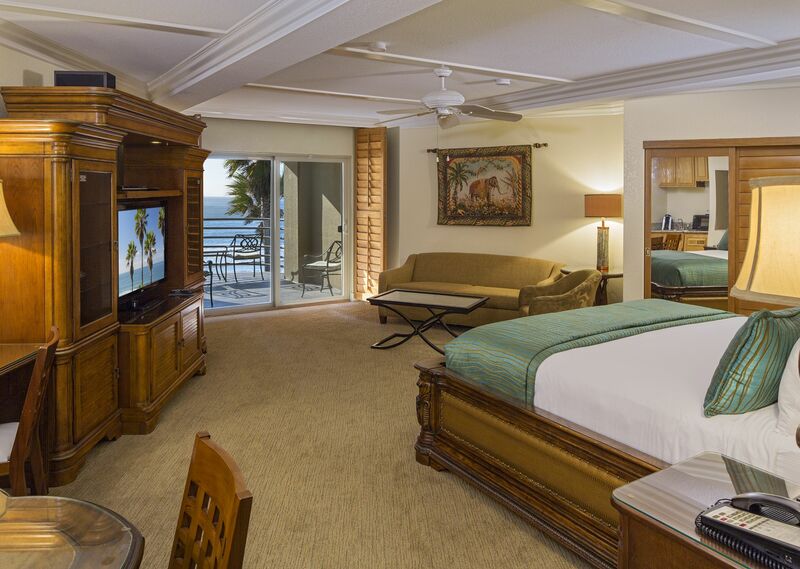 The bedroom has a king bed with a spectacular ocean view, and a 2nd TV. There is a privacy door separating the bedroom from living room/dining room. 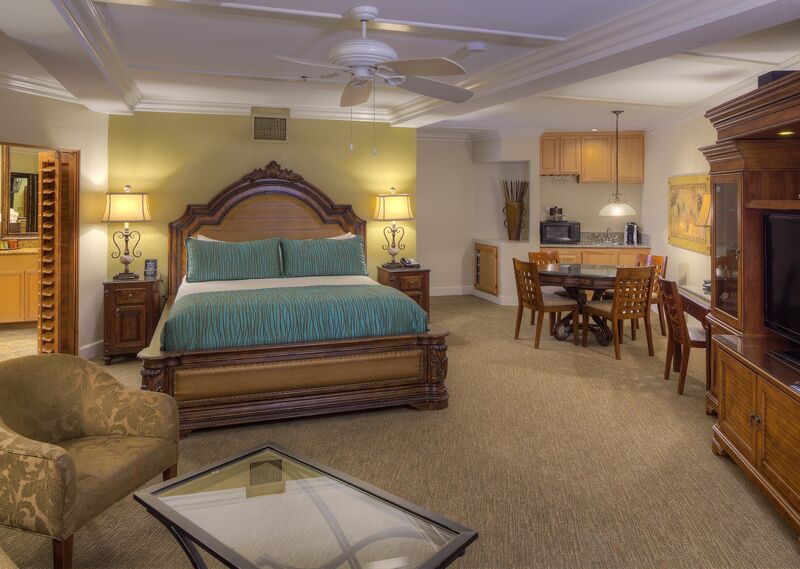 The bathroom includes a Jacuzzi bathtub, separate shower, and 3rd TV. 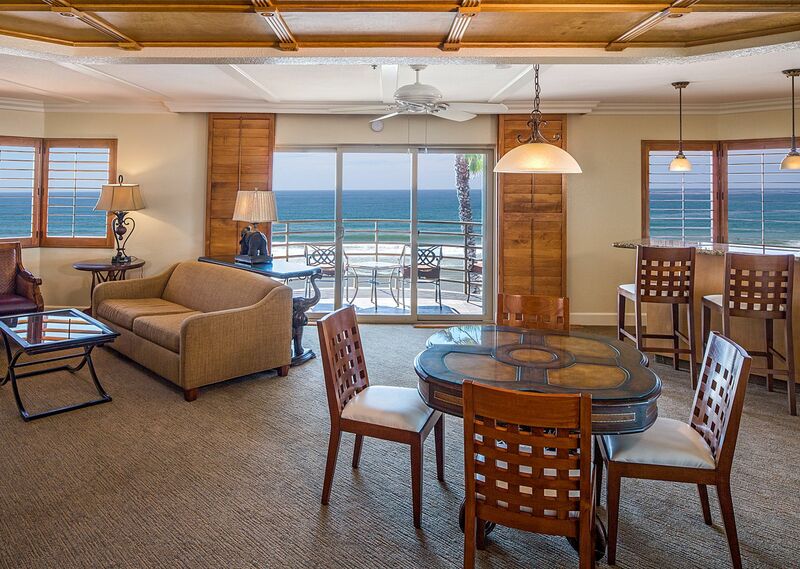 The closest suite you can get to the ocean! Room Size: 850 sq. ft.